Lentiviruses are a subset of retroviruses, with the ability to intergrate into host chromosomes, and to infect both dividing and non-dividing cells. They are excellent tools to deliver gene expression or knockdown. Lentiviral vectors are widely used in basic biology and translational studies for stable expression of gRNA, shRNA and Cas9 inserts. While not inside an infected cell or in the process of infecting a cell, viruses exist in the form of independent particles. 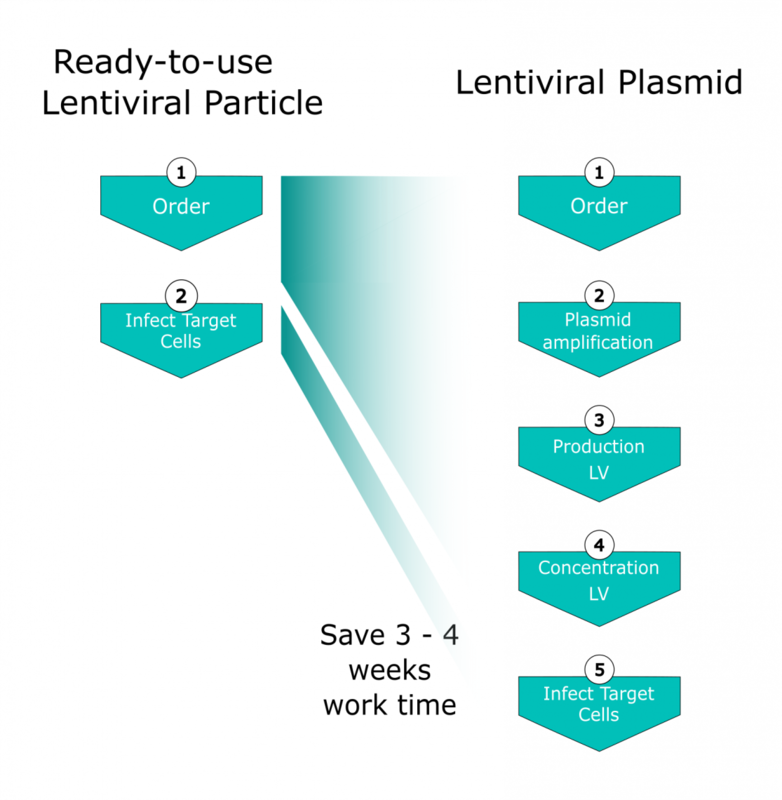 Lentiviral particles are generated by co-transfection of the lentiviral expression vector with lentiviral packaging plasmids into e.g. HEK293 cells and harvesting of the virus-containing supernatant afterwards. Pseudoviral particles can be concentrated, frozen, and used in later experiments. Browse at antibodies-online 300,000 vectors from Applied Biological Materials and transOMIC – both providing expertise and top-quality - for genome editing, protein expression or RNA interference. For fluorescent detection choose the ZsGreen tag which has a similar excitation wave length to GFP with a higher intensity.